I’ve ceased to pay attention to football since I have zero chance at winning any money in my Fantasy Football pool. However, I do know that Super Bowl season is upon us and our kidlets love nothing more than talking about sports. 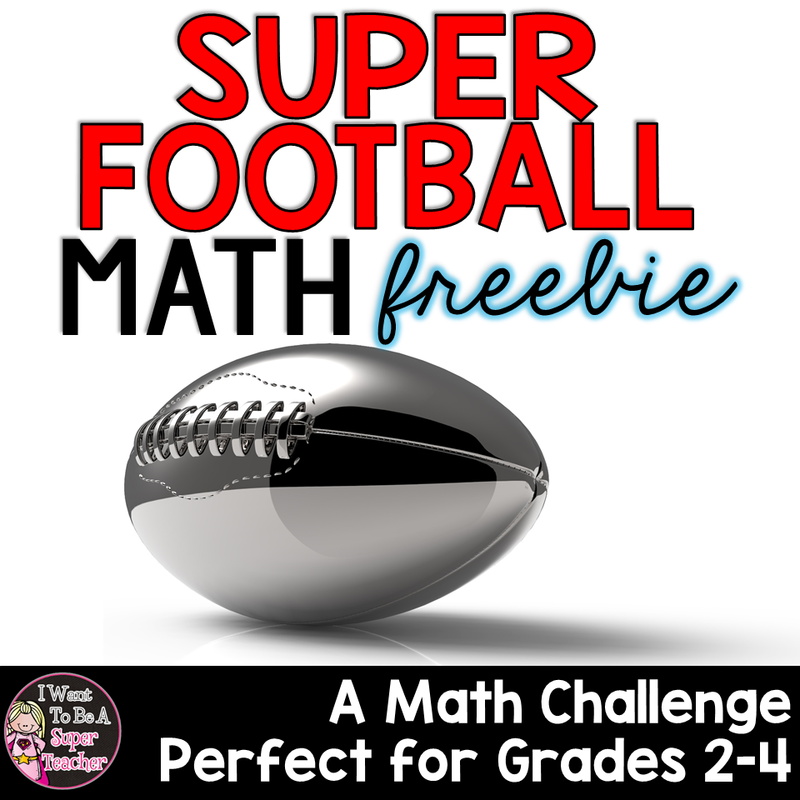 Here’s a football freebie for you if you need an extra math warm up or a ready-to-go homework assignment. I go back to school tomorrow (for teacher meetings and work time) and get back to work with the kiddos on Tuesday. Although I spent most of the break online shopping and being sick, I think some of the ideas from blog stalking have stayed with me. Here’s a few ideas and resources I plan to use during that first week back. Grammatical Name Art: I would do Word Clouds, but I already did these after Thanksgiving break, so we’re going to talk about all the exciting things we did throughout the break through nouns, verbs, and adjectives. We’re going to talk about informational writing. I’m excited to use these two TpT products to help introduce the genre. Previous Post: « Calling Online Shoppers! Cash Back Anyone? I found you from a post on Facebook by Fern and I'm glad I did. I'm going to do your Grammatical Name Art Activity tomorrow. Thanks! Stick on circle due date…brilliant! 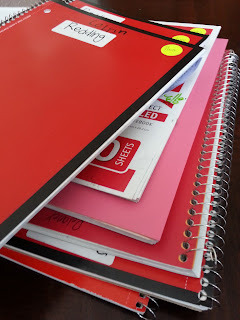 My kids can never remember when to turn in their journals! Thank you! 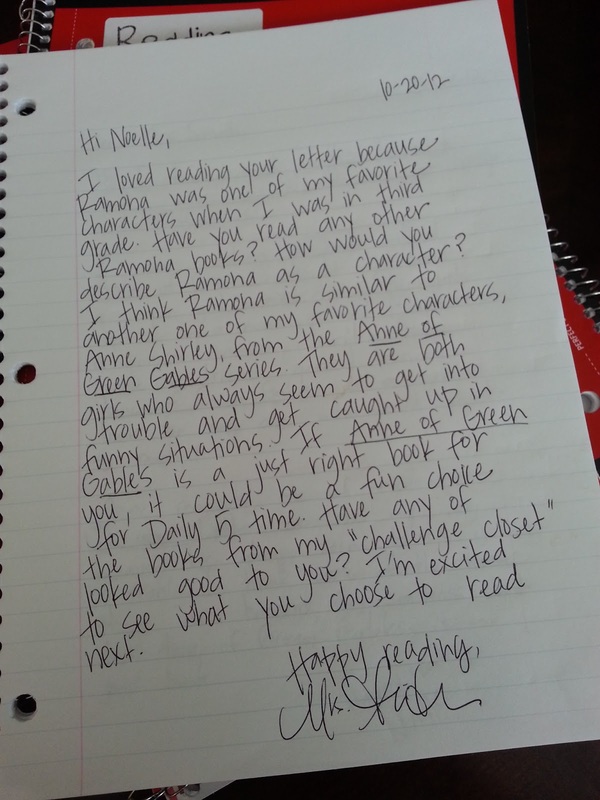 I love the reading journals. I always wanted to try. 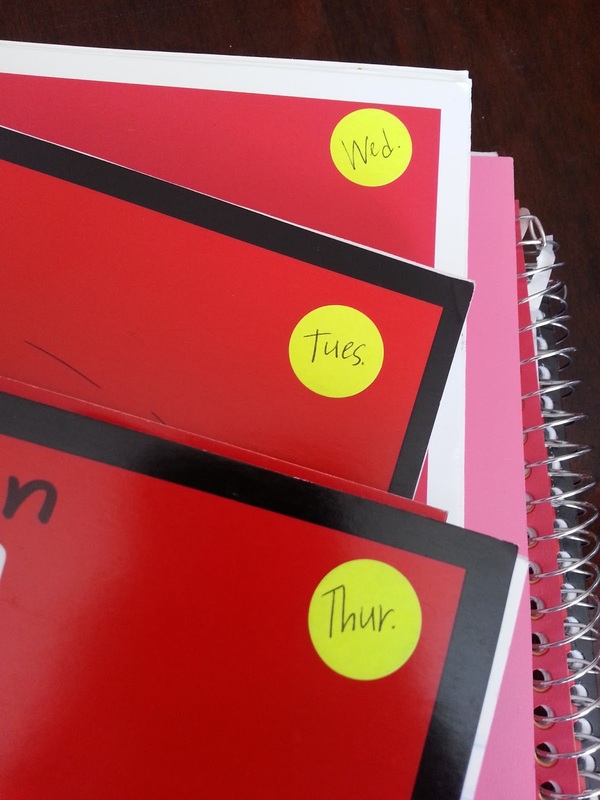 Good idea to put the day labels on them! I want to thank you for the Super Bowl assignment. I think it will be great as a homework challenge for my third graders this week! Thanks again! 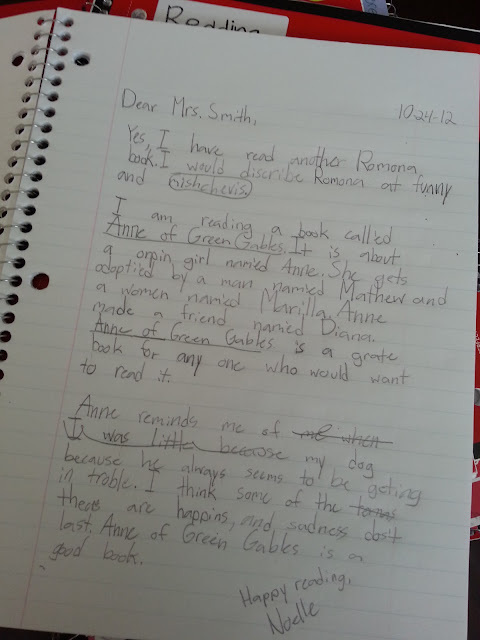 I did reading response journals last year when I was in 3rd grade. It is definitely A LOT of work, but I saw the difference in my kiddos writing and their thinking about reading. Their questions were outstanding and by the end of it each of my students and I had our own little relationship within the journals. It was such a rewarding experience— The labels are an awesome idea… if I ever get back to 3rd (I'm in 1st now) I'll definitely be doing that! Have a great day tomorrow planning!!! I'm jealous! The Super Bowl Challenge is exactly what I need for my higher level learners in my 3rd grade class. Thanks so much!